As a Carolinian and Panthers fan, let’s just say Super Bowl 50 was tough to watch to say the least. I can’t bring myself to watch highlights of the game but rewatching the flyover from the big game is a whole different story entirely. The US Navy recently released a cockpit video featuring the Blue Angels and their Super Bowl 50 flyover, providing a perspective that the majority of us will never get to experience in our lives. 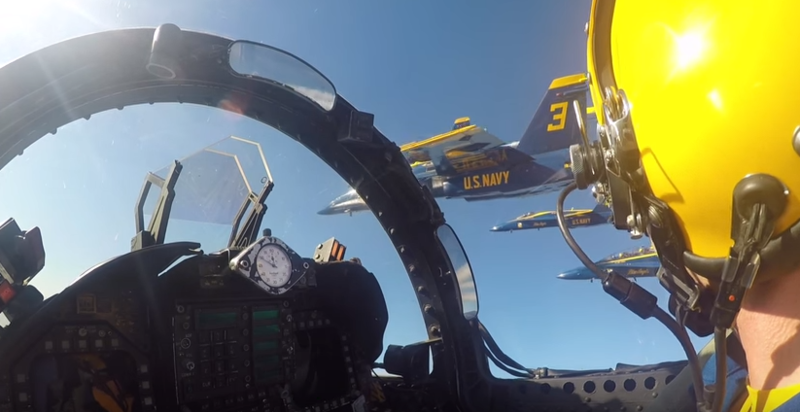 It’s pretty unbelievable to be able to get an inside look into what the Blue Angels were seeing as they soared over Levi Stadium in their diamond formation, shortly after Lady Gaga beautifully belted out the National Anthem. U.S. Navy Flight Demonstration Squadron, the Blue Angels, Delta pilots fly in formation over the 2016 Super Bowl at Levi’s Stadium in Santa Clara, California, Feb. 7.